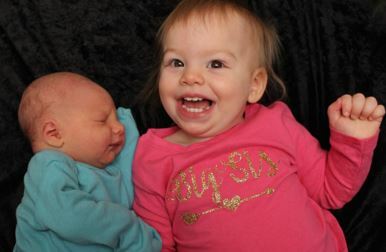 Marketing Board Director, Susan Moss’s adorable little ones: newborn, Vincent and big sister Vivian. How did you get started with the League? What’s inspired you to continue volunteering through the years? “My continued inspiration has come from learning so many new things through League training, both through my many placement opportunities and through formal trainings, as well as seeing the impact that we have made. You’re a mother, a lawyer and you’re involved in leadership roles both in and out of the League. How do you juggle everything? “I’m not going to lie, this can be a challenge sometimes. There are those superwoman members that seem to be able to juggle it all without skipping a beat. Juggling just career and League was no problem at all for me. I got married the year that I was serving as Step-Up Marketing Director and I’ve been keeping it challenging ever since then, having a baby at the beginning of my first year as Marketing Director (Vivi was born on June 5th that year). Now I just had my second baby, Vincent, at the midyear point of my second year as Marketing Director. You’ve devoted a lot of time, energy and leadership to the League. In return, what has the League given you? Thank you, Susan for all of your hard work, dedication and significant contributions to the League! You’re an inspiration to us all! This entry was posted on January 24, 2017 by JLKCMO in Community Impact.